The evolution of the Maserati. The first all Maserati car - The Tipo 26. Established on the 1st of December, 1914 in Bologna, Italy. Maserati is one of the oldest car manufacturers in the world. There were in total 7 brothers in the Maserati family, 6 of who made the company – designs, constructions, engineering, concepts and drafts. After the war, the company moved from Via dé Pepoli to new offices in the suburbs of Bologna. Alfieri who was one of the Maserati brothers, began his career as a racing driver. He won in the Susa-Moncenisio, the Mugello Circuit and the Aosta-Great Saint Bernard. After these victories, He was offered the chance to design cars for the company Diatto and to even race with them. He worked for the company till 1926 and after leaving he produced the first all Maserati car The Tipo 26. The car won it’s debut race and was driven by Alfieri Maserati himself. In 1927, Alfieri had an unfortunate accident which led to him being sidelined but even this did not stop Maserati on winning the Italian Constructors Championship. In 1929, The V4 with a 16 cylinder engine made it’s debut and helped the company expand with it’s record breaking speed and power in the Italian Grand Prix. In 1931 came the 4CTR and the front-wheel-drive 8C 2500, the last car to be designed by Alfieri Maserati, who died on 3rd March, 1932. An enormous crowd attended his funeral in Bologna, including workers from the plant, famous drivers, and ordinary people, who all wanted to show their affection for the great man. His death though, did not hinder the rest of the companies progress as the brothers kept their heads high and worked hard. In 1933 Tazio Nuvolari joined the team, making a significant technical contribution, particularly in fine tuning the chassis, adapting it to the characteristics of the new engine; Nuvolari won the Belgian Grand Prix, and those of Montenero and Nice. That was when Mercedes-Benz and Auto Union began a sustained assault on the racing scene, making life difficult for Maserati in the more important races. In spite of this, the company continued to notch up victories in more minor, national races, and this led the brothers to concentrate output in this area. In 1936 they found a patron in Gino Rovere who invested a great deal in the company and appointed Nino Farina, his ‘protégé’, as Chairman. The 6CM appeared, which gave Maserati the competitive edge in the voiturette class. 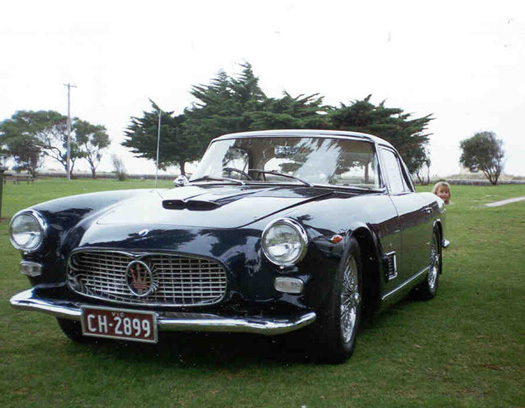 1937-1967 are the years most Maserati loyalists call the “Golden Years”. The company relocated from Bologna to Modena where it remains to this day. The company dominated the racing scenario even with strong competition from Mercedes, Ferrari and Alfa Romeo. After the second world war, Maserati had matured in finances and tools, this helped them produce a car most people back in the day would call “magical”. This was the A6-1500 – The all new GT car for Maserati. 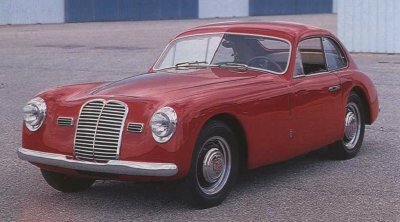 The car notched up many wins till early 1950’s when Ferrari and Alfa Romeo also stepped up a gear to make life difficult. Gioacchino Colombo was appointed as the chief engineer. He modified A6 and laid the foundation for the 250F. 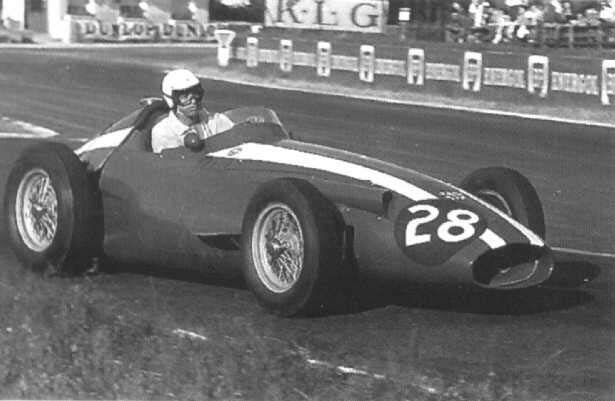 1954 saw the debut of the 250F in which it won the Argentine Grand Prix. The car helped them win many important victories. In 1957, the company officially announced it’s retirement from the racing scene but still kept building cars and prototypes for private teams. 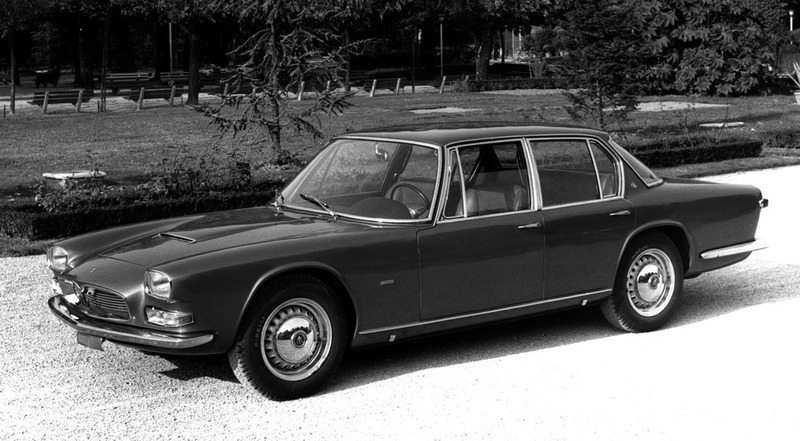 The Sebring was presented in 1962 and the Quattroporte in 1963, the first Maserati 4-door saloon with a 90° V8 engine and a displacement of 4,136 cc. All these cars did reasonably well in the market but they never had the cutting edge over competitors. 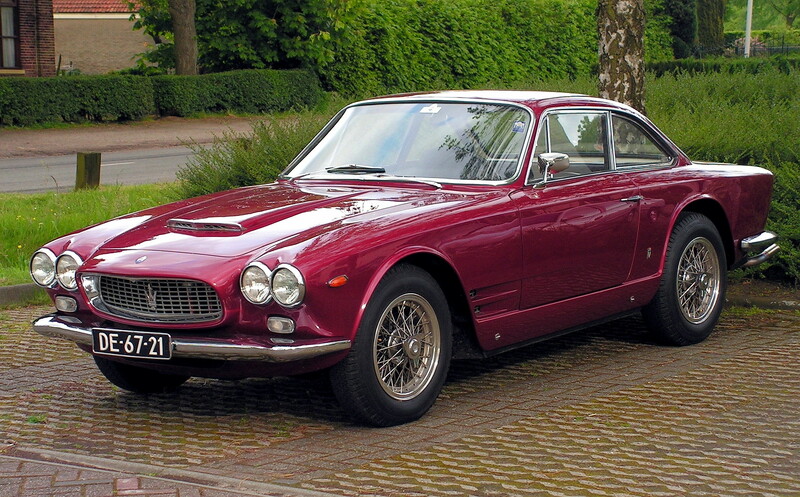 In 1968, Maserati was taken over by French car manufacturers, Citroen. New models were launched and Citroen borrowed the Maserati experience and engineering diversity to their benefit. Maserati also acquired Citroen’s guidance and expertise particularly in hydraulics. 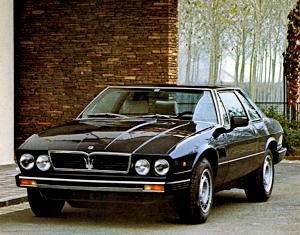 New models included cars such as the Maserati Bora, Maserati Merak, Maserati Khamsin and soon the Maserati Quattroporte II however with the Oil Crisis of 1973 and the massive decline in demand for these cars, Citroen went bankrupt and in 1975, the company was taken over by Alessandro de Tomaso, former Argentine racing driver. 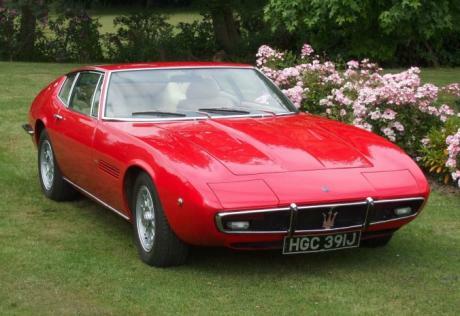 Under De Tomaso’s reign, Maserati produced a handful of cars which included rear wheel drive coupes at cheaper prices and better, aggressive performances. Maserati produced the Kyalami, Quattroporte III, Biturbo, Karif, Spyder, Shamal and Ghibli over the course of the next 16 years. 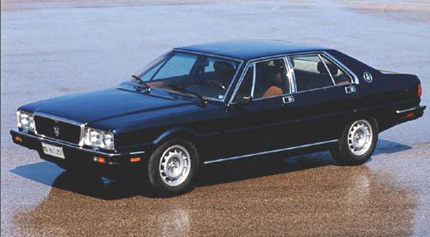 In 1993, Maserati was now taken over by Fiat. Substantial investments were made and since then it has finally started to rejuvenate itself. 1998 saw a new dawn in Maserati’s legacy as they launched the 3200 GT. A car that caught the world by surprise and could reach speeds of up to 177 miles per hour and 0-60 in just 5.5 seconds. 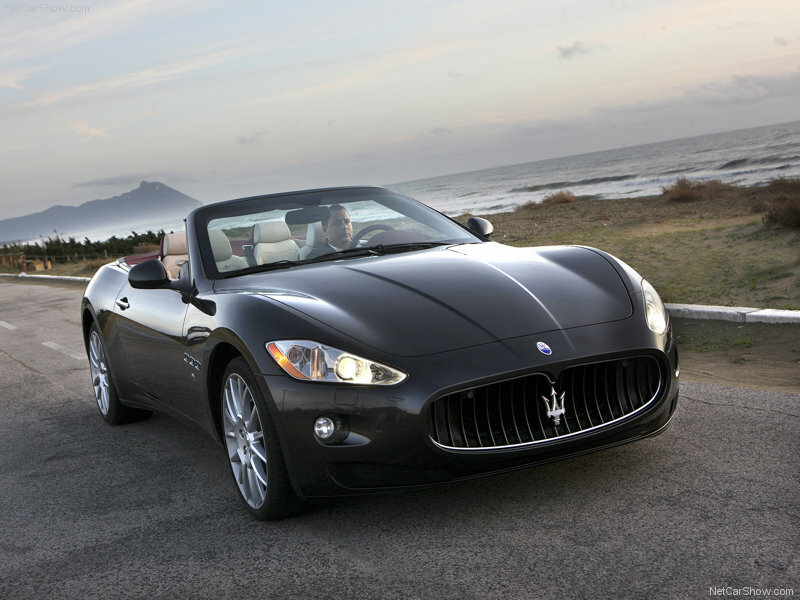 Since then, Maserati in corporation with Ferrari produced the GranTurismo and GranCabrio. 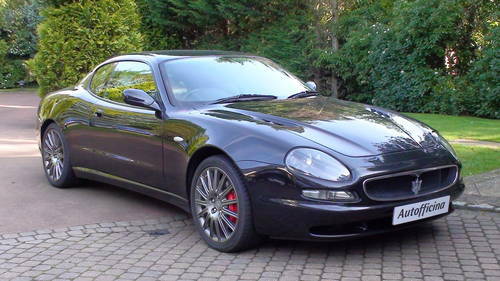 Both worked together till 2005 until Maserati were split off and merged into with Alfa Romeo. They made every competitor a friend and in 2007, they made their first profits since 17 years and were finally a company back on their feet. Nowadays, Maserati is considered to be a luxury car brand who produce a range of stunning vehicles that are truly a sign of engineering brilliance. It has been a long journey for Maserati but if the brothers were still alive today, they’d be proud. I miss the real Cartoons. We all love cartoons, most of us still do. I remember coming back from school and getting a nice cup of hot chocolate and just anxiously waiting to go sit in front of the box shaped television so I could spend the rest of my day watching colorful characters entertaining me. “Ah, Those were the days” I tell myself everyday as I click past the TV channels aimlessly. “We have still got cartoons you silly boy” is what I’ve been often told. 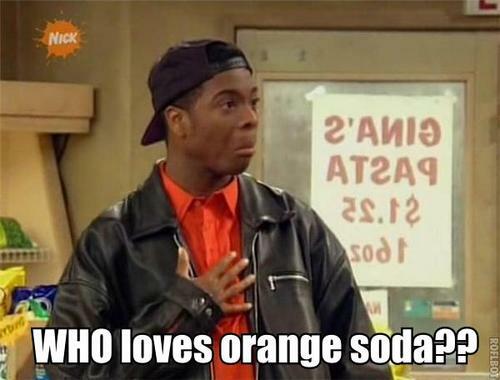 Yes we certainly do have cartoons but not even one of them is commendable or provides the same sort of amusement that the 90’s shows did. All you see now on the television are 65 different cartoon channels but all repeating the same old boring shows, The cartoons do not have a plot, they do not have continuous prose. Who would want to see a boy becoming into ugly aliens? What’s the fun in watching weirdly shaped Japanese anime’s playing with cards that throw out creatures from another world? What is the point of watching a talking weasel that saves the day when he doesn’t even look like a weasel? I am a 90’s kid who grew up watching phenomenal shows like Ed, Edd and Eddy, Dexter’s Laboratory, Animaniacs, Cow and Chicken, Gargoyles, Duck Tales, Captain Planet, Pokemon (The originals), Dragon Ball Z, Inspector Gadget, Kenan and Kel, The Amanda Show, Johnny Bravo, 2 stupid dogs, Yogi Bear, The Flintstones, Scooby Doo, Jimmy Neutron, The Weekenders, Kim Possible, Courage the cowardly dog, Recess, X men and who can forgot the big daddy of them all – TOM AND JERRY? I could go on with my list forever but my basic point is, any kid from the 90’s would agree that these were without a doubt the best mix of cartoons and probably the best there will ever be. These were the only things we used to talk about in primary school, we used to watch them when our friends came over instead of offering them a free playstation like the kids of today. I don’t have anything against the modern cartoons but I see no charm, no learning, no fun in watching them. Yes there are surely some good ones like Spongebob Square Pants and Phineas & Ferb but they are nothing compared to all those legends a few lines above. You see, as times progress, we as humans think that we are advancing in every possible way but what we really are doing is going a step back, missing the simple way of living and complicating things for ourselves. The other day, I decided to sit down with my little brother and watch shows like Good Luck Charlie, iCarly, Wizards of Waverly Place etc. I’ll be very honest, by the next 10 minutes, I was so pissed off that I decided to actually curse the people making that crap. Nothing in any of those shows was even close to being funny, Adding a laugh behind lame punch lines does not make something funny. What are these shows teaching the upcoming generation? How to dance with cake all over your face? How to answer back to your parents? How to get into the latest fashions and spend thousands on worthless things? It all just seems so wrong and will someone please tell me why all these new teenage Disney actors think they can sing? All of them have the same kind of voice and every time they just get up in the morning, move their faces around like a brainless monkey and scream out a few words. Wayheeeeyyy, There you have your next number one hit of the year, Congratulations you utter fool. You might think I’m being a little too harsh but fairly, I die a little inside every time I don’t see what I used to see on my favorite cartoon channels 10 years ago. Yes I might be almost 18 now but you are never too old for cartoons and sketches, as a faithful fan to the best era that was the 90’s, I actually feel sorry for the children out there today who have to deal with all these new pointless excuses of a cartoon. I miss Johnny trying to get all the girls and failing miserably, I miss Eddy and his scams to get money, I miss the real Scooby Doo and his crew, I miss when Bulbasaur and Charmander were still by the side of Pikachu, I miss T.J and his events during recess, I miss Carl and his love for Llama’s, I miss Kel and his love for Orange Soda, I miss Josh and his fat belly, I miss Dee Dee pushing the “Do not touch” buttons, I miss Courage saying “Things I do for love”, I miss Fred and Bam Bam, I miss the woman without a face on Tom and Jerry, Heck I miss everything, I miss the real cartoons. Please bring them back, I’ll take back everything I said. The weather forecast had it that it would be sunny throughout the season but little did the man in my head know, My heart was filled with despondency and wretchedness. Every human has a spot that is flimsy, we all can’t reserve our failure or pain. This was not what worried me, the strange thing was I kept on exhibiting it for the world to see. I had given up any hope of making castles in the air, I had given up the hope of being capable, I had accepted the fact I was always going to be inferior in other people’s eyes and I had also accepted the fact that I’ll always let myself down. There it was, My life summed up and ready to end but before I could take another step towards the edge of my window and drown myself 38 floors down to the ground, I heard someone speak to me. A voice I had never before encountered, A force I never believed in, A sign I never thought I’d be blessed enough to witness. There was no one there but I could hear the illuminations. 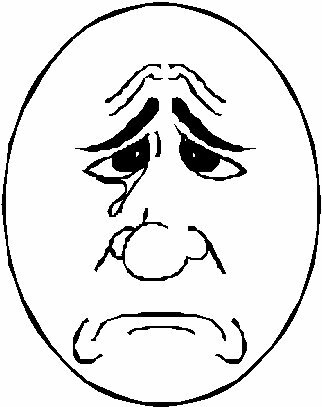 I stepped back, Wiped the tears of my eyes and reached deep inside my pocket. I took out my wallet and there it was, right outside on the leather, in golden engraved writing it said “You’ve got to earn what you already deserve”. For three days, I didn’t leave my room, The window pane was still open and I could hear a million voices but not the one I was looking for. Resting my head against the broken table, I cleared the blood over my arms and stood up. I looked around at all the pictures hanging over my walls, my friends, my family, Paris and Genoa, Argentina and Hawaii, my graduation, my birthdays, my first car and my very first job as a window cleaner – Don’t get me wrong, I was smiling 157 stories high holding a bottle of doctor clean my window. Suddenly, I had gone into a place of deep serenity. For the first time in 16 months, I smiled at myself as I ran towards the mirror. Looked at myself, I kept on staring at that mirror for 25 minutes. Just when I was about to look away, the mirror shined a magical beam straight into my eyes, I dropped to the ground for a few seconds and got back up again. It was scary and heart throbbing, I looked at the mirror again and it was all foggy as if someone had breathed into the glass. I was petrified but I’ve never been afraid, I was a soldier fighting my own wars after all. I had no idea what was going on but all at once, I felt strong as I tightened my fist and twisted it in circles back and forth to try and see the blood flow through my veins. It’s hard to explain that reaction but in simple words – Someone or something had just breathed life into me. Engrossed in my thoughts, I went to the sink to pour myself a glass of water. As I slowly stepped towards the kitchen, I saw a magnet on the fridge, I never used to put any magnets on my fridge because I wasn’t their biggest fan. I leisurely approached it, The magnet fell to the ground and I was shocked. Hastily, I picked it up. It was just plain black with a picture of The Amazon River in front. I turned it around and there it was, the very same writing. This time it said “Your time to live”. As much as I was shocked and petrified, I felt like a new person. The past 65 hours had somehow managed to put me back on my feet again. I could feel the strength bursting through my body. My facial expressions had completely changed, I went towards the window and had a look outside, My suicide note was still lying there beneath the glass of wine. 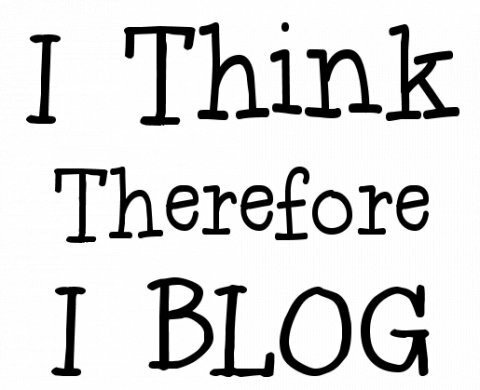 It sent chills down my spine and I wondered “How could I have written this”? I picked the paper up, kept it folded and burnt it. I blew the remains away out the window and glared at my watch. For some bizarre reason I wasn’t afraid anymore, I knew this couldn’t be the work of a friendly ghost because grandpa always said “Casper is just a cartoon”. That day, I got back to nourishing myself. I cleaned up the whole apartment, Took a shower and put on the clothes I had been given by mum last Christmas. I had locked them away at the back of my cupboard because the cardigan was orange, the jeans were black and the tie had honey bee’s on it but for ones judgement, I had never felt this comfortable with any other piece of clothing before. I sat on the couch sipping on a nice hot cup of tea, I picked up a piece of paper and wrote a few lines without even thinking. The last line I wrote said “Nothing is fair, What may happen to us may happen to us, What may never may never but now I will live forever and ever and ever”. We all have been blessed by the greatest gift of God that being life itself. Yes, we may have our differences and our enemies, we may feel awkward at places but we all have been promised by God Himself, His love. We all have been given an opportunity to make something out of this. Let nothing put you away from what you believe in. Let nothing shatter your dreams and let nothing come in between yourself and you. Once again, I laughed. I called everyone I knew and told them how much I loved them. I even danced to a Lady Gaga song in front of my stereo. Sigh, I was a happy man. I had got my confidence back, I was motivated, I promised myself to earn what I deserve and to live my life at the same time. No person, No being, No force can put me down, I will be strong to reach out towards the sky to grasp onto my aspirations. I will be loved as long as I live and to ensure love after death is all up to me, I’ll make it through. Whatever happened these past days, I didn’t have a clue but I knew, there was someone looking down on me and looking out for me. I was blessed with The Seraphs Advice. I told her, “You are Beautiful”.